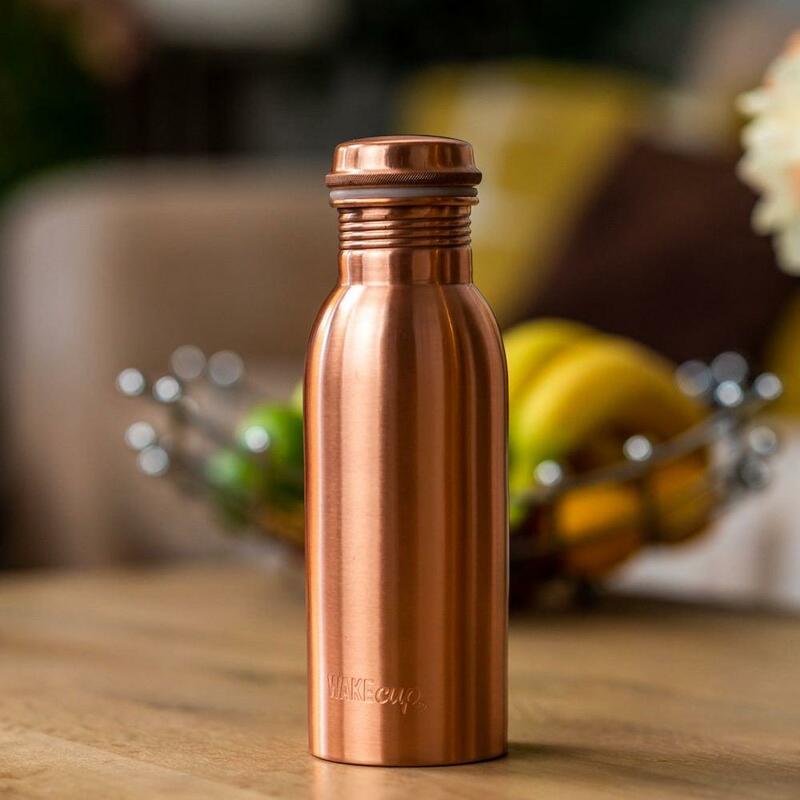 Contemporary pure copper water bottle, making it easy to benefit from the long associated benefits of drinking water from copper in respects to promoting wellbeing and health. 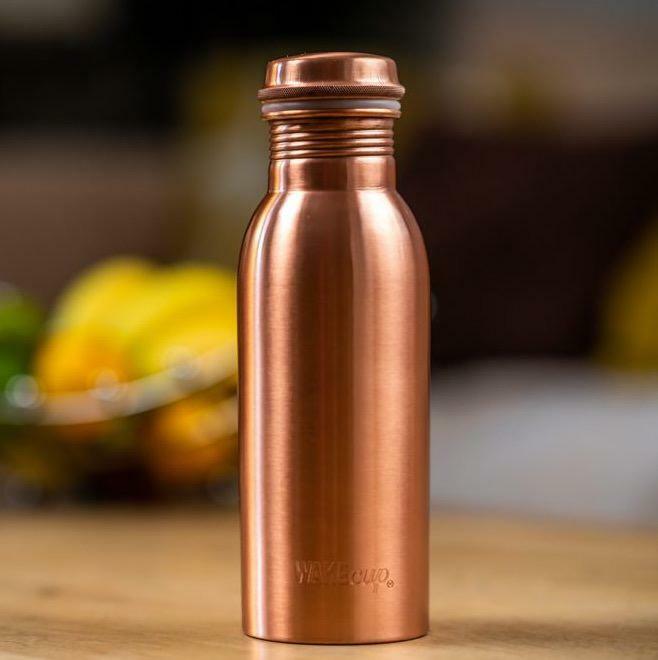 This reusable copper bottle has an air-tight seal made with silicone to ensure it is leak proof. 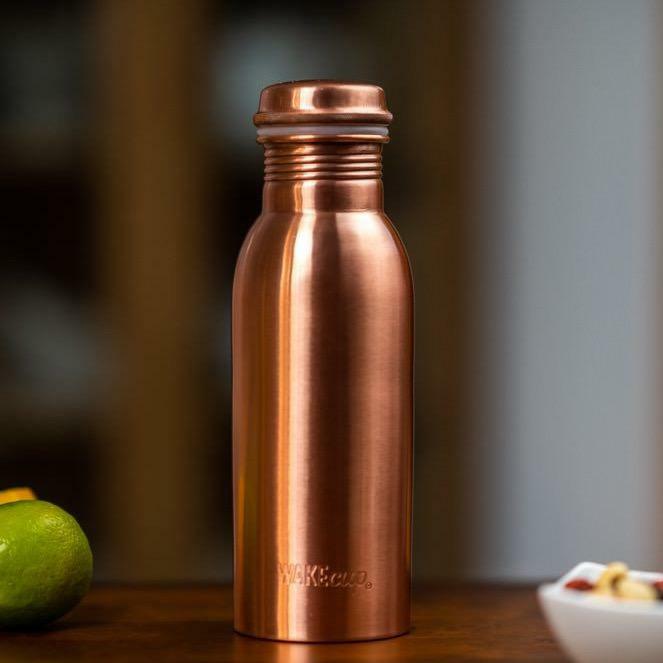 It is also completely plastic-free making this a great zero waste drinking water bottle. Care - Hand wash only we recommend using lemon juice. 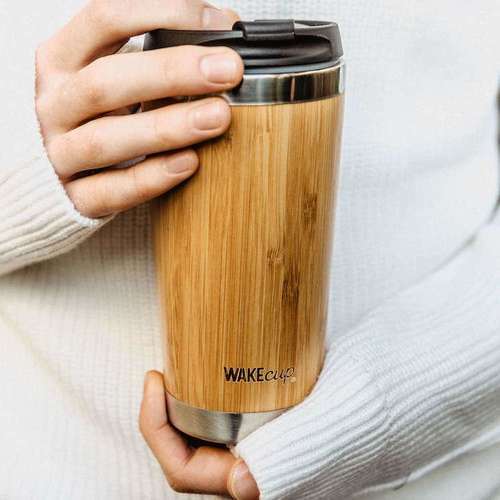 This bottle should not be used for hot drinks or placed in the dishwasher. 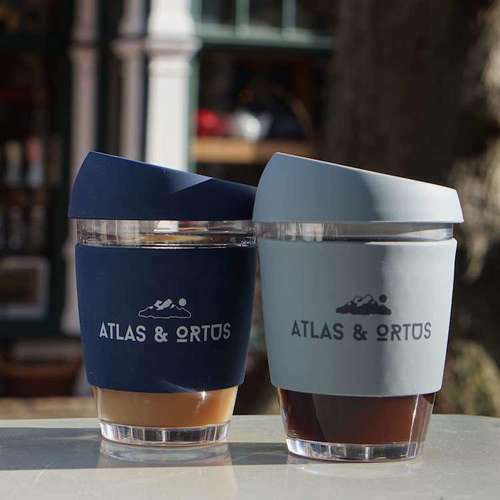 Materials - Pure copper and silicone.